2 Lines Urdu Poetry Images include Sad poetry, Love poetry, Udas poetry, sapna poetry,ana poetry, ghazals and sher o Shayari in Urdu. 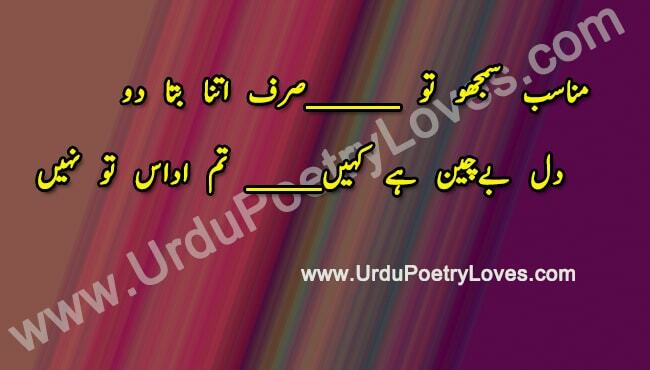 2 line poetry in urdu font poetry in urdu about life, facebook Poetry and SMS. New 2019 Ghazals and poetry.